This month's theme for our group was techniques. 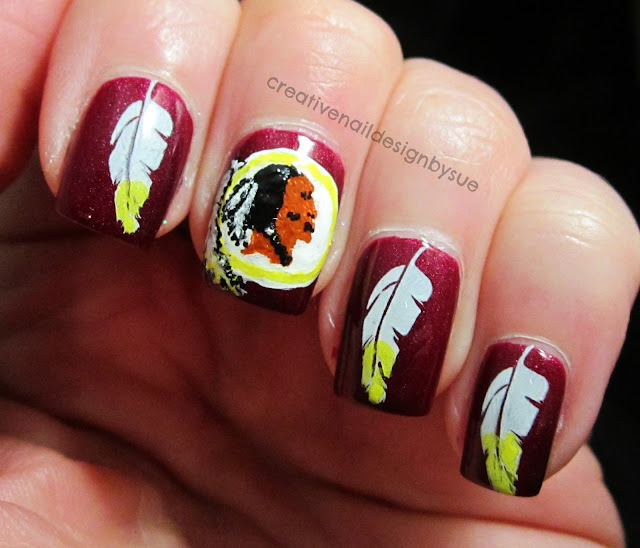 I used stamping and free hand art to complete a quick manicure I did for the redskins season opener tomorrow. The base is Manglaze Fatty's Got More Blood and the feathers are stamped using BM12 and Milani White On The Spot. I freehanded the emblem using acrylic paint. Sue, I can't get over how AMAZING this is!! !